1 Cook the noodles according to the packet instructions and leave to cool. 2 Meanwhile, marinade the tuna and spring onion with the Hellmann’s Roasted Sesame Dressing. 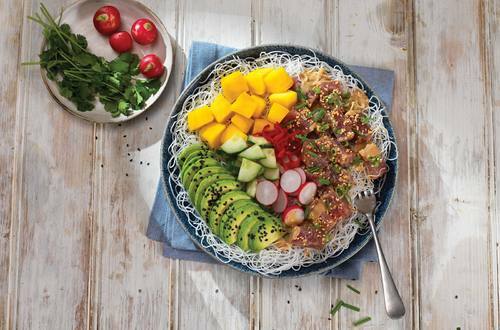 Place the noodles in a serving bowl and top with the tuna, cucumber, avocado, radishes, red chillies, coriander, chives and sesame seeds.